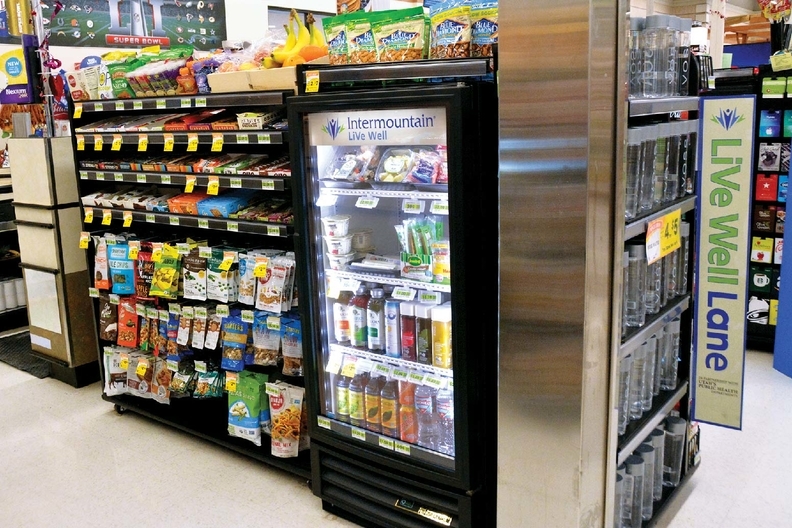 Intermountain is partnering with a grocery company to offer the healthy food lanes. Anyone who's unsuccessfully fought the lure of the candy and junk food that grocery store shoppers face in the checkout lane may appreciate a new initiative by a Utah-based healthcare system. Intermountain Healthcare and Associated Food Stores have partnered with the Utah Department of Health to set up a Live Well Lane checkout stand in 43 of Associated's Utah grocery stores. These lanes feature healthy snacks selected by dietitians instead of the candy and single-serve junk foods usually offered. “Providing healthy options at checkstands is a significant step forward in helping families make better choices” said Judy Harris, a nutrition consultant for Utah's Health Department.